Home / Blog / Garden / Looking forward to spending time outside again! by Carolynupdated on April 2, 2019 April 9, 2010 Leave a Comment on Looking forward to spending time outside again! The weather is improving by the minute… warmer! The kids said only the other day… Mummy we can nearly eat outside again… and I couldn’t agree more. So get your outside dinner ware ready and candleholders for when the evenings turn more windy…. 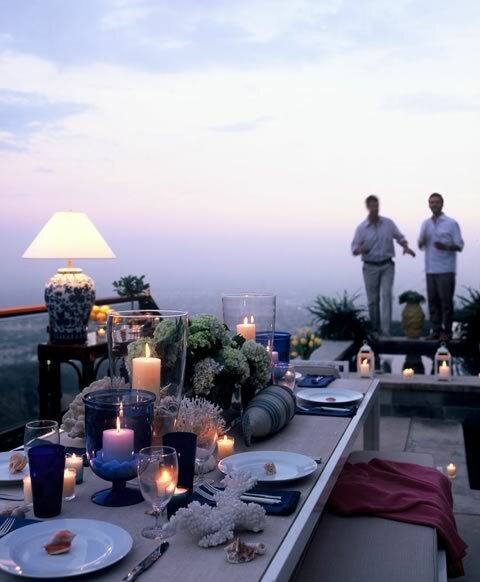 and cook a lovely dinner for the family and set the outside table beautifully…. relax and have fun… and take in the spring air!